On November 6, California voters will have the opportunity to pass Proposition 3, the largest environmental habitat and water bond in California’s history. Proposition 3 will make significant investments to help serve water for multiple benefits in the Sacramento Valley and throughout California. Proposition 3 makes important and unprecedented investments in fish and wildlife, safe drinking water for cities and rural communities, and groundwater management. 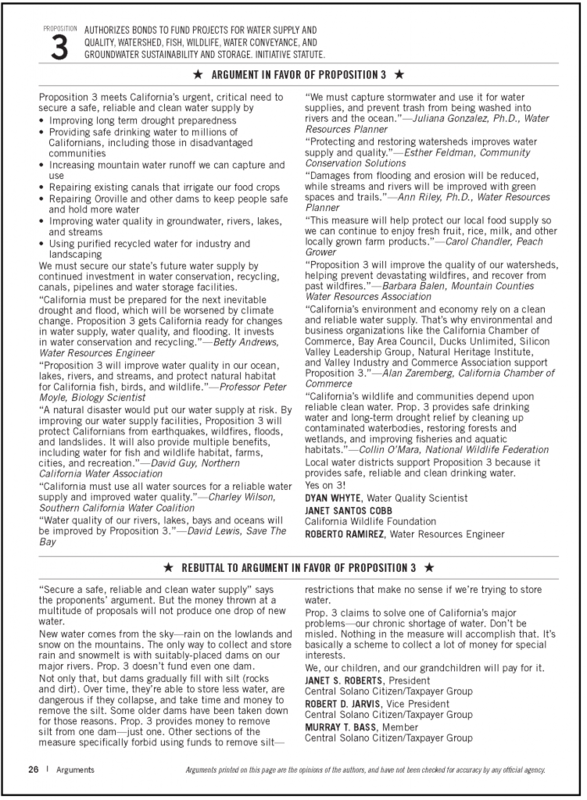 Proposition 3 has broad and diverse support from all over California as seen in the support list at: Yes on 3. The ballot argument for Proposition 3 shown below highlights many of these diverse views on why Proposition 3 is an important investment in California’s future. We urge voters to support Proposition 3 on the November 6 ballot. 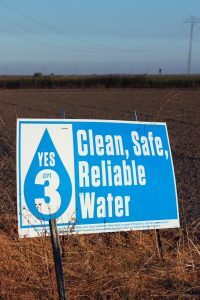 For more information, see “Yes on 3.” NCWA has been offering a series of blogs highlighting the important investments in Proposition 3 and how water serves multiple benefits in the Sacramento Valley.